Mzuzu based business lady Agnes Kambeu, 37, is in police custody for being found with property suspected to have been stolen from the Electricity Supply Corporation of Malawi (ESCOM) Limited. The police also arrested Lusekelo Ambonishe, an aide to Kambeu on the same charge. Kambeu comes from Chimwendo Village T/A Mzikubola’s area in Mzimba District while Ambonishe hails from Mwakanyamala Village, T/A Kyungu in Karonga District. 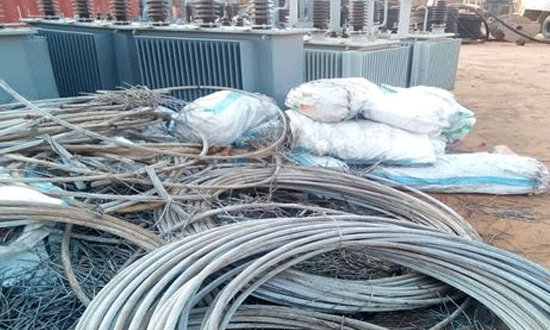 Working on a tip from patriotic Malawians, the police raided Kambeu’s house at Chibanja in Mzuzu City where they found 1,000 metres of 175mm aluminium electricity conductors, 18 electric tower members and 18 bags stuffed with assorted coper conductors. The materials are valued at over K23 million. ESCOM engineers identified the materials as having been stolen from ESCOM construction sites in the Northern Region. The suspects told investigators that they sourced the materials from a contractor who was working in the City. The two have been charged with the offence of being found in possession of property suspected to have been stolen. Meanwhile, investigations are continuing to round up all the suspects in the crime and also to trace other materials that are still missing. ESCOM wishes to express its sincere appreciation for the support members of the community continue to render to the corporation in its fight against organised crime. ESCOM is also thankful to the Malawi Police Service and the Malawi Judiciary for the professional manner in which they are handling issues to do with theft of ESCOM’s property. Part of the stolen materials.